Prime Minister Viorica Dancila has replaced 13 of the 15 civil society representatives in the Economic and Social Council (CES). Following a decision published on Thursday in the Official Gazette, only the Association of Municipalities in Romania and FACIAS (a foundation established by Dan Voiculescu) remained in the CES. CES is a consultative body for the Romanian Parliament and the Government, with the task to approve legislation in the areas of competence: economic policies, financial and fiscal policies, labour relations, social protection and salary policies, agriculture, rural development and environmental protection, fair competition, cooperation, liberal professions and independent activities, citizens’ rights and freedoms, public administration and public order, health policies, but also education, research and culture. Lately, there have been several times when CES postponed opinions on major government projects that did not have all signatures and opinions required by law. On Tuesday, for example, CES postponed discussions on the draft pension law, because it lacked the opinion of the Justice Ministry. The mandatory endorsement of the Council has been issued on Wednesday, before the government meeting which approved the draft, even though the opinion of the Justice Ministry was still lacking. 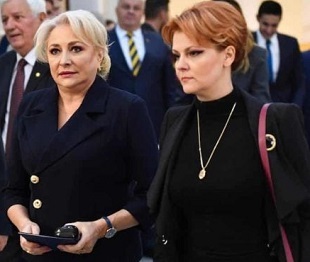 Several such incidents took place since the current coalition came into power and two ministers came into a conflict with CES members – Labour Minister Lia Olguta Vasilescu and Finance Minister Orlando Teodorovici. Members who were eliminated completed three years of the four-year terms of office and were changed on the day when Lia Vasilescu, who proposes the civil society representatives, was risking a further postponement in the adoption of the pension draft. “The Ministry of Labour and Social Justice submitted the proposal to the Romanian Government as early as June 22, as it is showed in the Official Gazette, and not just like that, as some of the persons replaced claim. The decision has been taken by the Government on October 11th, therefore not at all overnight. The procedure has been fully observed, as the law stipulates that the Government may at any time replace its representatives in CES, as trade unions and employer associations also can do. Several considerations were the basis of the replacement decision: some of the members nominated by the Government in CES were constantly absent from the Council meetings; it was found that a trade union representative was, in fact, holding the place of an NGO; following the complaints from some organizations, associations and foundations that said that some CES members are not representative and have repeatedly proposed, both verbally and in writing, their replacement. “We live in a country hijacked by a handful of politruks who do not understand that they live in a democracy and dream of a dictatorship. Real civil society, which questions the Government in a constructive way, must be replaced by an obedient one, who is thankful for the sinecure”. So far, the PSD-ALDE government has taken more action against non-governmental organizations, and there are suspicions that they have been caused by the critical attitude of some of these organizations.